What problem does rhizomatic learning solve for me? In trying to understand what I was trying to do with the 6 weeks she asked me a variety of questions, some pedagogical questions, some philosophical, some technical and some administrative. I’ll get to each of these questions as time passes but I’d really like to address her question about why I think rhizomatic learning is important or, more specifically, what problem does it solve? 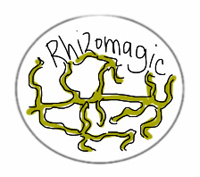 Rhizomatic learning is a story of how we can learn in a world of abundance – abundance of perspective, of information and of connection. A paper/location based learning model forces us to make decisions, in advance, about what it is important for students to learn. This was a practical reality – if we were going to have content available for a course, it needed to be prepared in advance. In order to prepare the content in advance, we needed to prepare the objectives in advance. And, given that we know what everyone is supposed to learn, we might as well check and see if they all did and compare them against each other. What happens if we let that go? What happens when we approach a learning experience and we don’t know what we are going to learn? Where each student can learn something a little bit different – together? If we decide that important learning is more like being a parent, or being a cook, and less like knowing all the counties in England in 1450? What if we decided to trust the idea that people can come together to learn given the availability of an abundance of perspective, of information and of connection? P.S. Yes. That was a test I once took. But this abundance should be seen as at best temporary – associated with the abundance of cheap energy. It seems that just when we need to be able to massively learn /adapt to cataclysmic changes, we will be thrust into a world of scarcity. At least scarcity for most people. Can connected learning operate on the downward slope of Peak Oil ( and other key commodities)? One of the points I see strong about the rhizomatter is the genuine taste of emotion inside the whole concept. The rhizomatic approach e-mproving learning through emotional e-mprovisation. Maybe it could represent the chance to re-install the surprise and the freedom in the classroom. Previous Previous post: Unravelling -> a model for an open course?